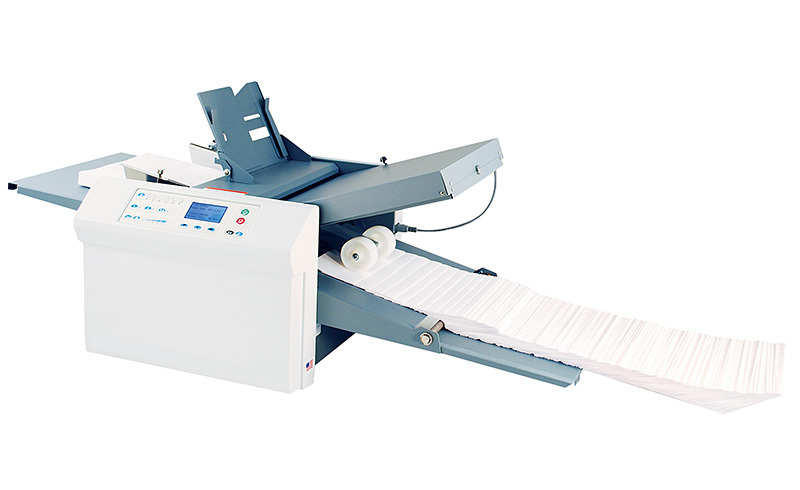 The PF-80 folder gives businesses, churches, schools or print shops the simplicity and versatility to complete a wide variety of fold jobs in just minutes. The PF-80 offers a user-friendly control panel with a large, 2.8” LCD backlit display. It can take as many as 500 sheets in the hopper. Select a fold type, press start and walk away. Even untrained operators will quickly master the PF-80.